The OSS Advanced Battle Pack was originally created for and currently in use by our NSW Units operating down range. It has recently been adopted by many SWAT and Governmental HRT Teams Nation-wide. With the dual MOLLE backing on this unit, it is able to be worn on any duty belt or woven into any load bearing vest or patrol vehicle cage, keeping it in a uniform location throughout the fleet. This “proven” pack contains the critical items to sustain life and treat the injured for any penetrating trauma injuries. These items have been reduced in size and made compact enough to fit inside our NSW Belt Pouch, thus completely eliminating the bigger bulky standard 6x9 MOLLE pouch. With the size of this kit a Patrol Officer or Field Agent can now carry a full content advanced Trauma Kit on their person, not locked away in a patrol vehicle. This advanced pack is completely waterproof and has tear notches for rapid deployment into any environment. 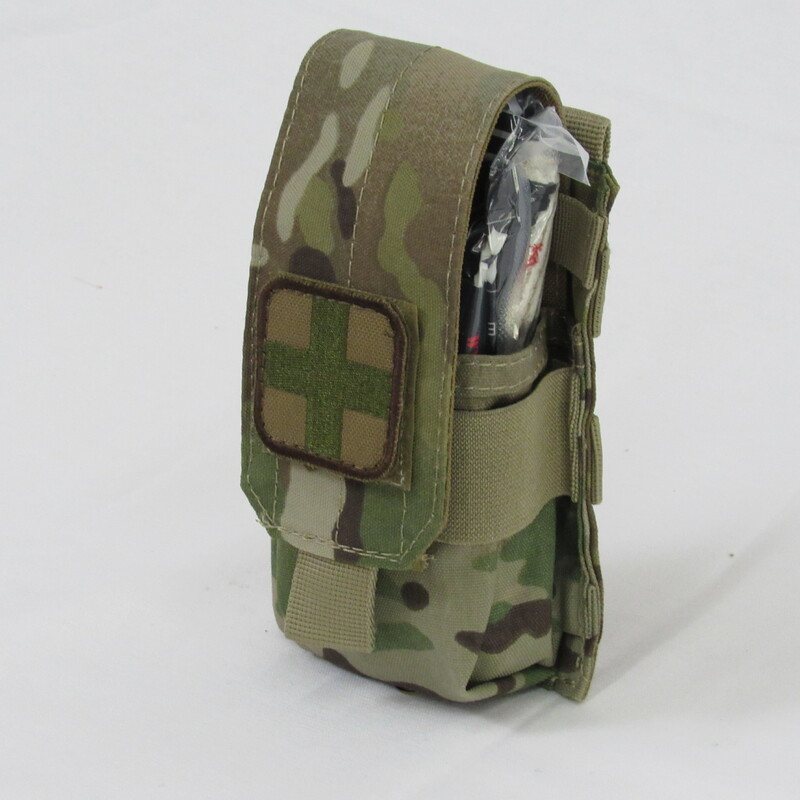 This pack is built in compliance with the current Tactical Combat Casualty Care Guidelines. SOF T Tourniquet, Advanced Hemostatic Gauze 3"x39" Z-Folded, Vented Chest Seal, 14GA x 3.25 Chest Decompression Needle, OSS Combat Compression Dressing 3IN x 5YDS, 28fr Nasopharyngeal w/550 cord, Nitrile Gloves, 3" Compressed Gauze, all contents sealed within our rugged skip pack and contained in a MOLLE compatible magazine pouch w/detachable medic cross.